‘Captain America: The Winter Soldier’ Super Bowl Trailer Debuts: Even More Cleveland Fun! using Cleveland locations, including the Fairview Bridge. This new trailer packs a wallop. I mean, as a film fan in general, you should be excited to catch this flick. 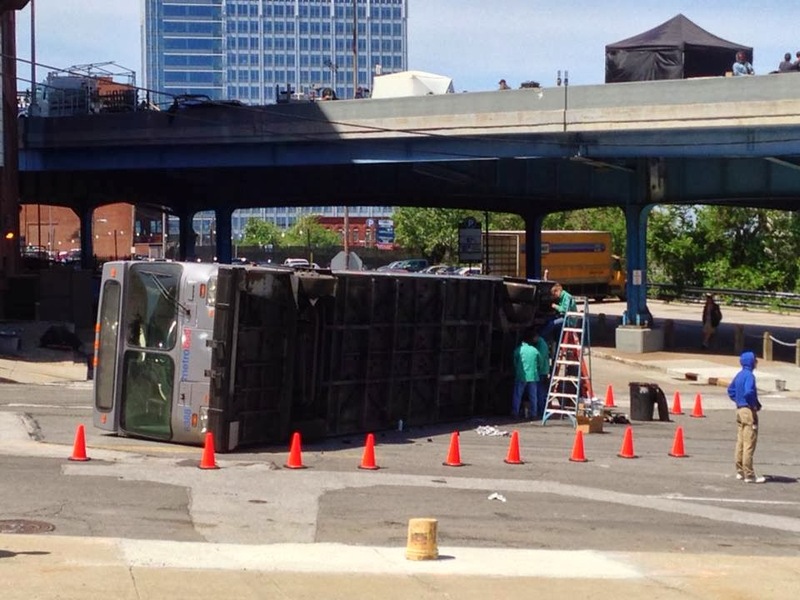 As a fan of films made in Cleveland, however, this one’s got it all. And it promises to be big business at the box office. But we don’t care about that, do we? We just want to see those great shots of Cleveland! Our location run down follows the trailer! 0:21: Our first glimpse of the Winter Soldier (“He’s a ghost,” says Scarlett Johansson’s Black Widow), easing down Lakeside Boulevard. 0:44: The Winter Soldier marches down West 3rd as pedestrians run down Lakeside. 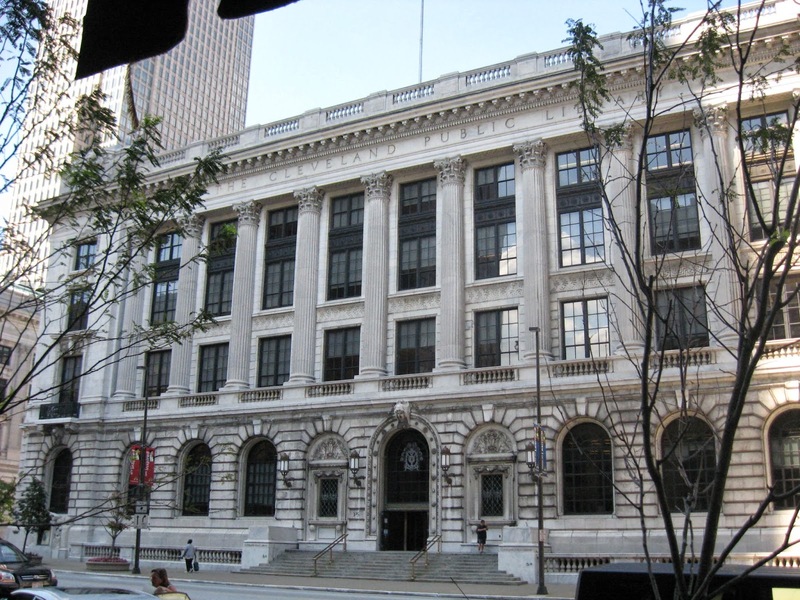 See the Cleveland Public Library in the new 'Cap 2' trailer. 0:45: The following scene finds The Winter Soldier firing a magnetic bomb at Nick Fury’s SHIELD SUV. The scene takes place on Superior, headed west, near E. 3rd Street. That’s the Cleveland Public Library on your right. 0:48: The flipping SUV is right near the corner of E. 3rd and Superior. The building in the background is part of the BP Building, I believe. 1:03: We get a little more action from the big car chase filmed on the Shoreway. The Winter Soldier punches through the windshield of a car and rips the steering wheel off the vehicle. 1:12: After we see Robert Redford in his Marvel Cinematic Universe debut, we’re back on the Shoreway for more Winter Solider action. 1:24: I think this scene takes place in the park at the corner of E. 3rd and Lakeside, but I cannot be sure. The location looks correct, but it’s a guess at best. 1:34: A lot of CGI went in to changing the Lorain Road (Fairview) Bridge, seen in this scene, into what’s likely one of the 14th Street Bridges in DC. 1:37: Catch the Black Widow leaping off the Shoreway onto W. 3rd Street – the same street we saw when the trailer opened. 1:39: More fun CGI work here! A car crashes onto W. 3rd and the Black Widow hits the ground. In the background? D.C. What’s usually there? First Energy Stadium. Filmmakers prep this bus, near the Shoreway, for some pyrotechnic action. 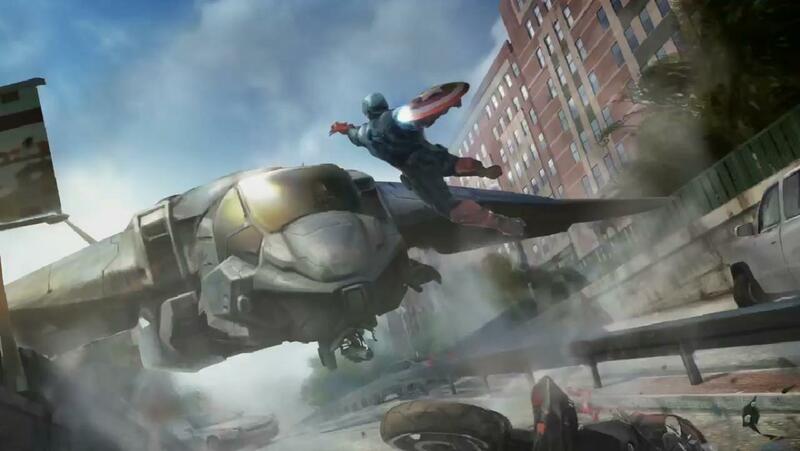 See Steve Rogers leap out of the bus in the latest trailer. 1:43: More W. 3rd action, as Steve Rogers leaps out of a bus under fire. 2:09: Lakeside Blvd. near City Hall, I believe. And all that stuff at the end! If you're anything like me, you can't wait to see this film. Plus, with recent news that Cleveland filmmakers Anthony and Joe Russo may also direct Captain America 3, we might get an encore visit from the Marvel Cinematic Universe crew!